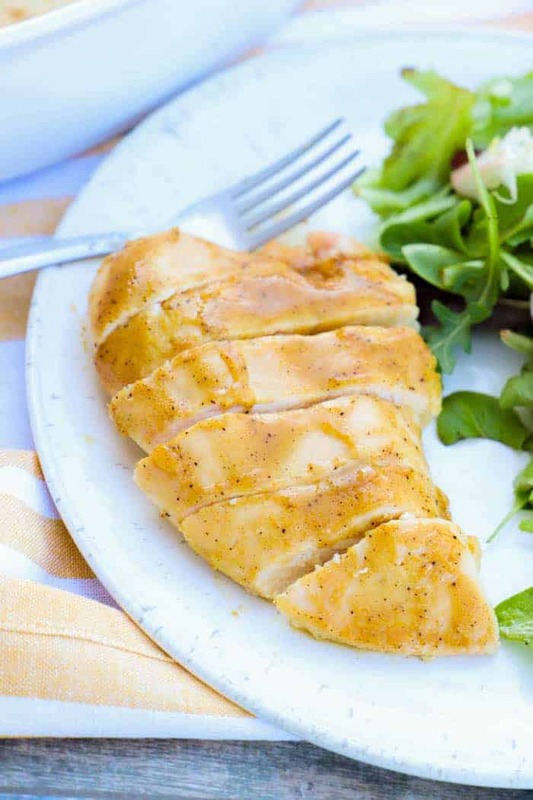 Sweet with a little spice this Baked Honey Dijon Chicken is something new for your everyday chicken breast. A recipe the entire family is going to love. Step one: In a small bowl whisk together oil, honey, dijon mustard, garlic powder, oregano, salt, and pepper. Step two: Place chicken breast in a foil-lined pan and pour above mixed marinade on top. I like to close the foil to keep all the heat inside and help the chicken stay moist. 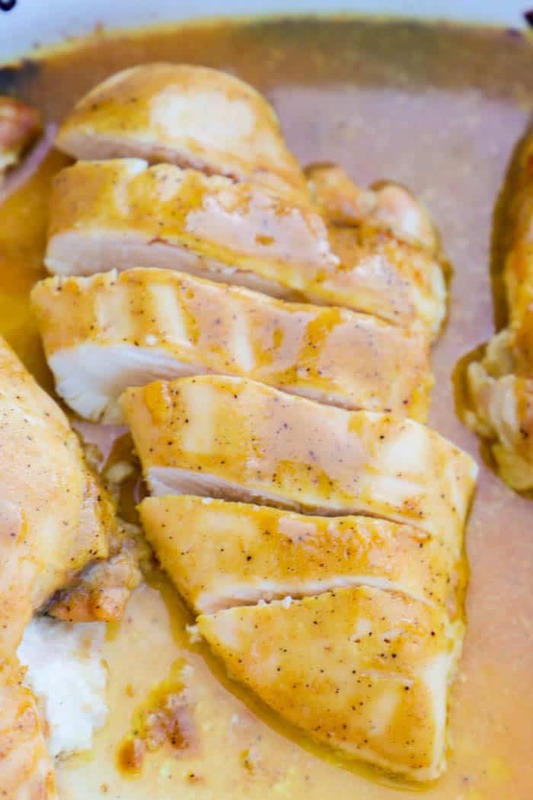 Step three: Bake your chicken at 375 degrees F for 30-40 minutes or until chicken is cooked through and reaches a safe temperature. In a small bowl whisk together olive oil, honey, dijon mustard, garlic powder, oregano, salt, and pepper. 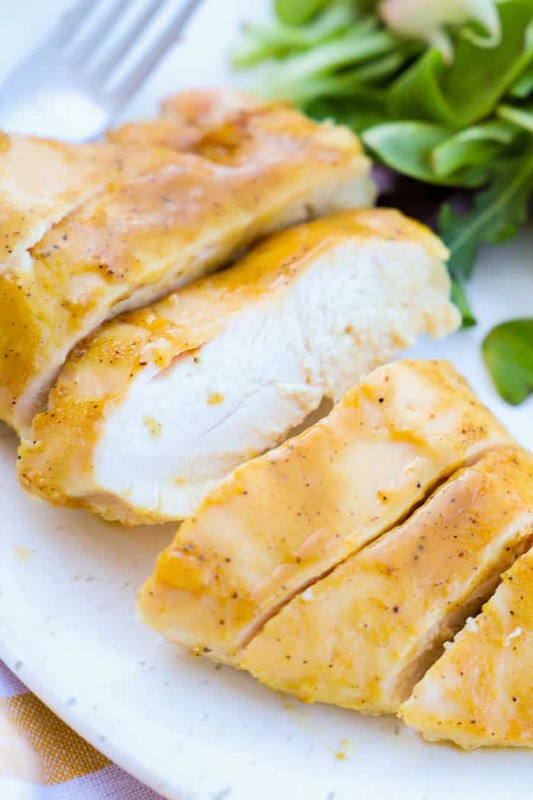 Place chicken breast in a foil-lined pan and pour above mixed marinade on top. 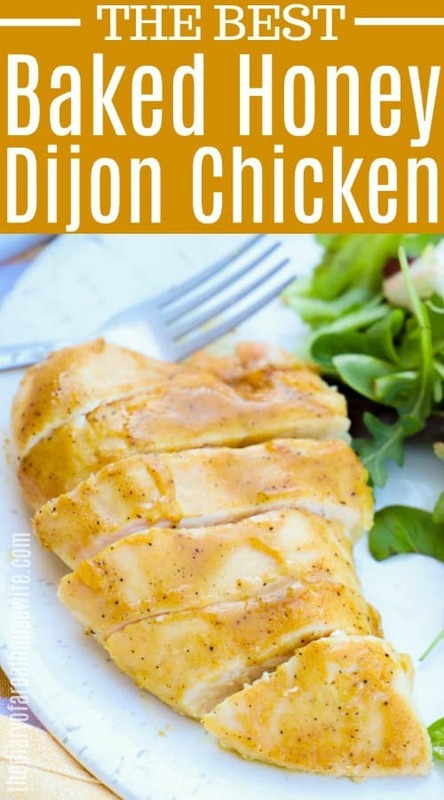 Bake for 30-40 minutes or until chicken is cooked through.